Cold Dude Computers: New Club Penguin Home-Screen. Recently Club Penguin released a new home-screen! This one is about the Blackout and is animated! Pretty nifty huh? 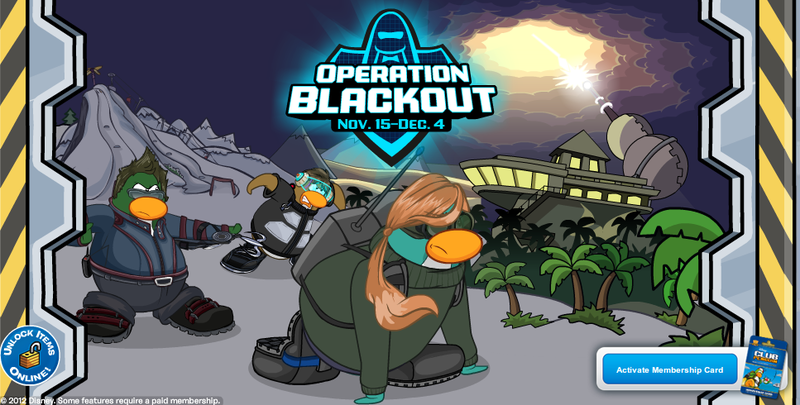 It shows the three representatives of the Operation Blackout. In the background you can also see that it looks like the EPF Building is MUCH bigger. What are your thoughts on the upcoming Blackout? Leave a comment and let us know!